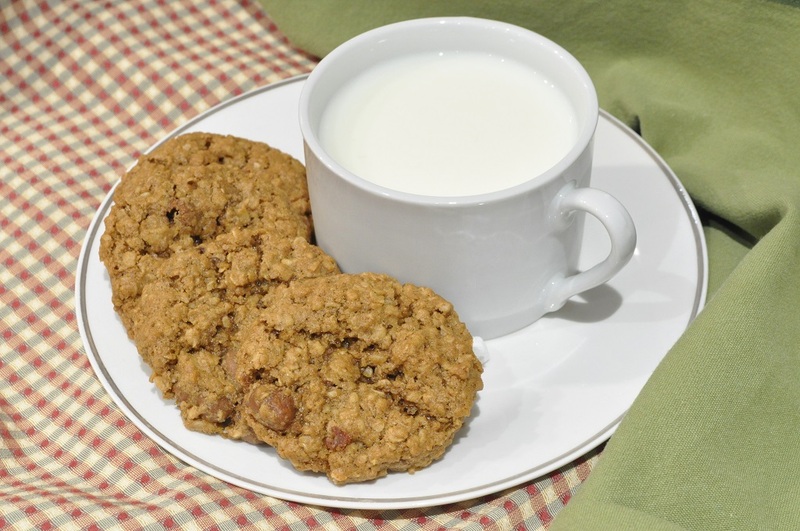 Last week (March 19th apparently) was National Oatmeal Cookie Day. Personally, I think all this “National Day of Such-and-Such” business is pretty silly (and furthermore, I strongly suspect that such days are merely invented by creative PR agents in order to promote their companies’ products); however, there was a lot of chatter about it on Twitter, naturally, and I got involved in a discussion about the problem of raisins masquerading as chocolate chips in oatmeal cookies. I think my stance was probably rather unique, because my viewpoint is that raisins, not chocolate chips, are the proper ingredient for oatmeal cookies; yet my mother always made hers with chocolate chips, and I actually like them best without either—just oats and walnuts for me, please. I only wish I baked on impulse more often. And I wonder . . . when is National Chocolate-Covered Raisin Day? 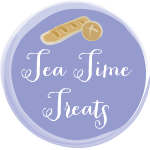 I’m submitting these cookies to Tea Time Treats, which is run by Karen of Lavender and Lovage and Jane of The Hedgecombers. 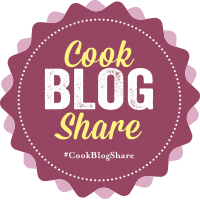 Jane is hosting this month, and the theme is Biscuits and Cookies. 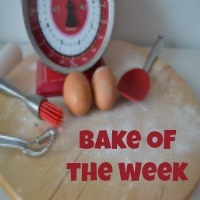 I am also linking up with Supergolden Bakes #CookBlogShare and Casa Costello’s Bake of the Week. In a large bowl, cream together the butter and sugars until fluffy. Beat in the vanilla, water, and oil. Scrape down the sides of the bowl. Stir in the flour and baking soda and mix until the dough is smooth. 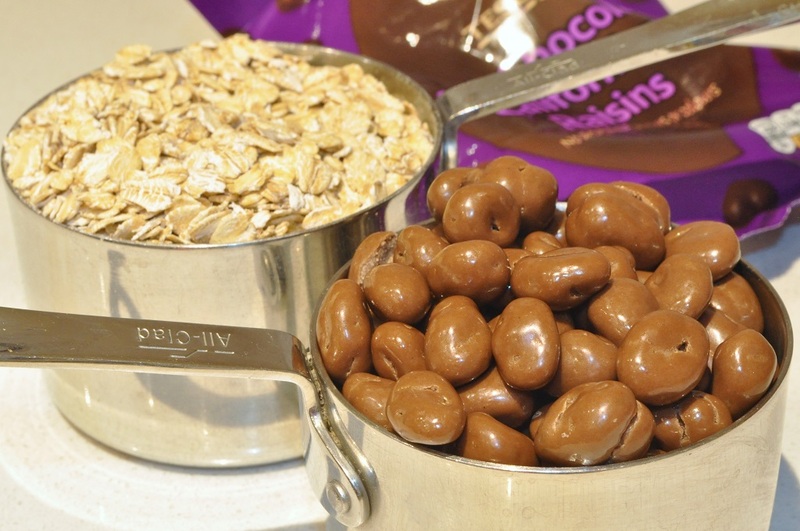 Add the two kinds of oats and the chocolate-covered raisins and stir to distribute throughout the cookie dough. Shape heaping tablespoons of the dough into balls and place on ungreased baking sheets. Use your fingertips to flatten each ball of dough slightly and then bake until the cookies are set around the edges, 10 to 13 minutes. Cool on trays for a few minutes and then remove to a wire rack. 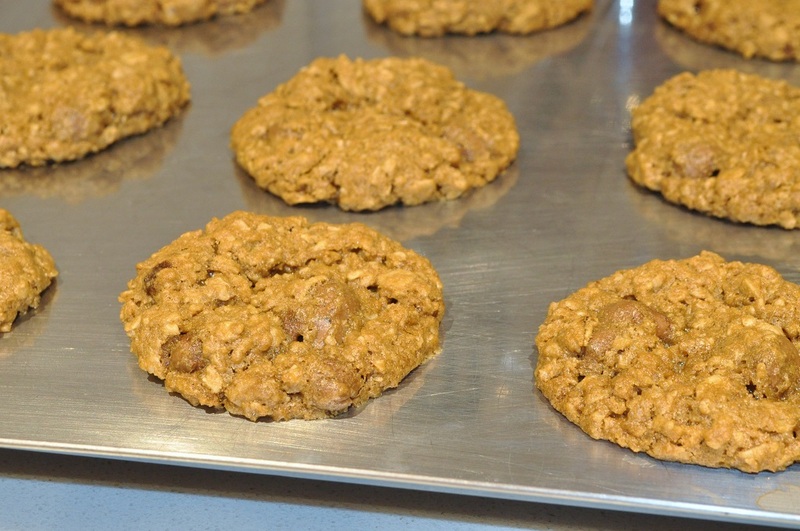 I love any cookies made with oats. The texture is always so appealing. 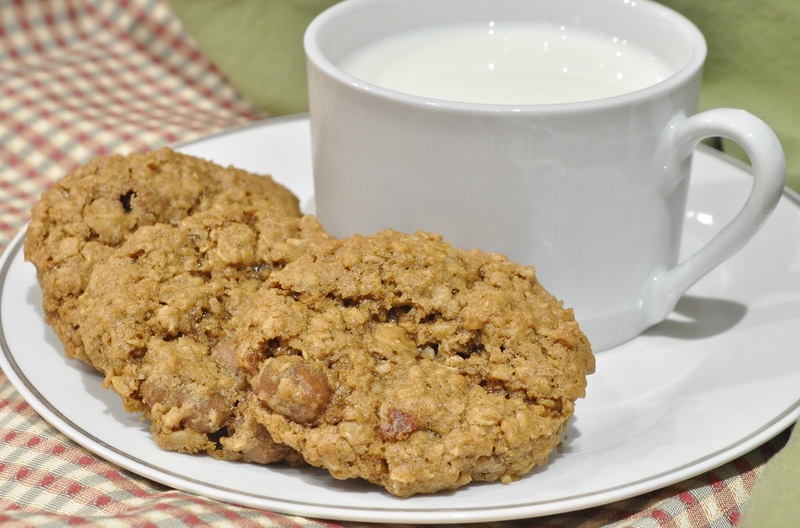 As for National Oatmeal Cookie Day…… really???? I’m with you on the crazy day for this and day for that thing……. But either way, your cookies sound like they should be in my tin! I know, they’re all so silly! 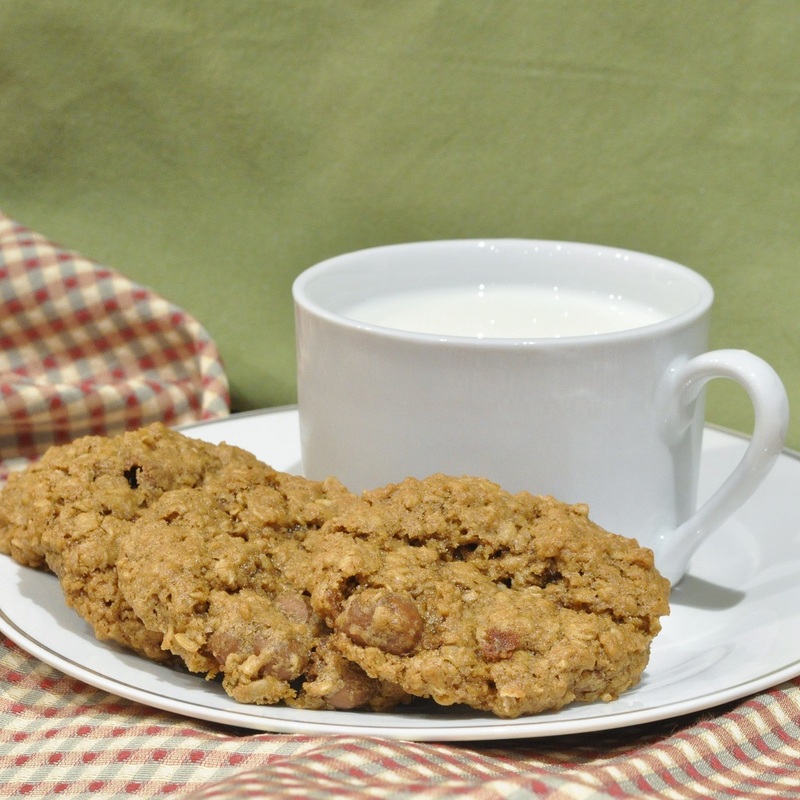 And I don’t need a special day to force me to make oatmeal cookies. Yes, that’s my suspicion, too. But I am glad to have had the inspiration for these cookies–so I guess good can come of even the most ridiculous things. Cheering thought, isn’t it? Mmmmmmmmmm! My tummy is growling here! Not quite–I could only get milk chocolate-covered raisins for the cookies. And I’m a dark chocolate fan!